One of the highlights from my tour round the south part of Sri Lanka was elephant riding in Pinnewala (or is it Pinnawala?). 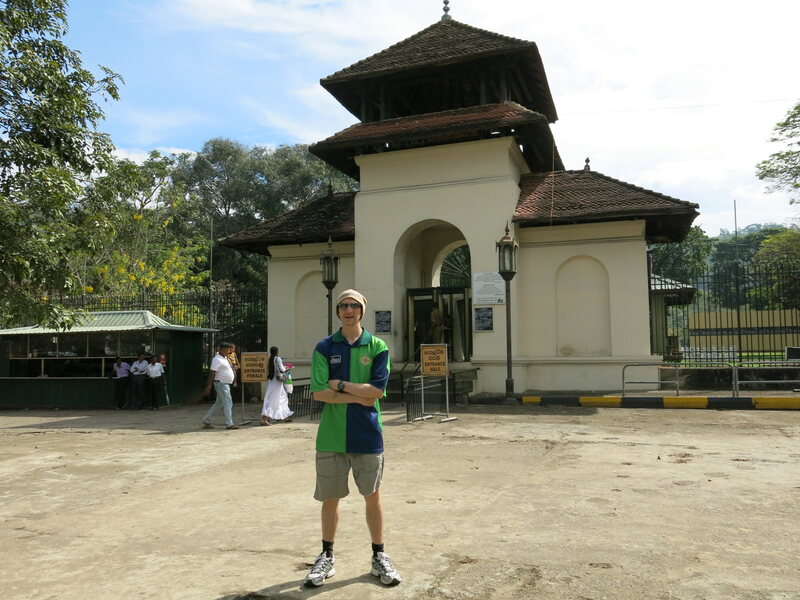 It was a hotly anticipated part of the trip in fact and we saved it for the last few days of our visit to Sri Lanka. 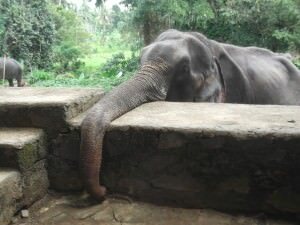 Despite having been to a load of countries with native elephants before, Sri Lanka was the first ever country where I saw an elephant outside a zoo. I normally travel either alone or with my girlfriend, but for the first time in 2 years my parents were visiting Asia to meet me, so I was on an elephant with my Dad! 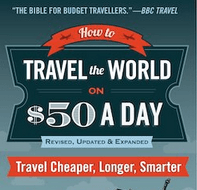 Here’s the rundown on it, something I’d definitely recommend! The nearest large city to Pinnawala is Kandy, Sri Lanka’s second biggest city after the capital Colombo. So ideally you want to base yourself in Kandy while doing Pinnawala, though if you have lot of time on your hands, staying nearby is a better option and there are resorts in and around Pinnawala. Either get a private bus, hire a driver or get the local bus 662 to Kegalle, getting off at Karandunpona Junction and changing onto the 681 bus to Pinnawala (it’s heading to Rambukkana). We had a driver called Eraj of A & I Travels, he comes recommended by the way, here is his e-mail: contact@aanditravels.com and website www.aanditravels.com . To be honest if you visit Pinnawala and don’t see an elephant I can only assume you have been locked in a capsule with no view of the outside world. Elephants are a part of life here – they nurture them, look after them, breed them, and essentially use and exploit them for tourism. It works both ways. Tourists want to see elephants. Locals want to make money. 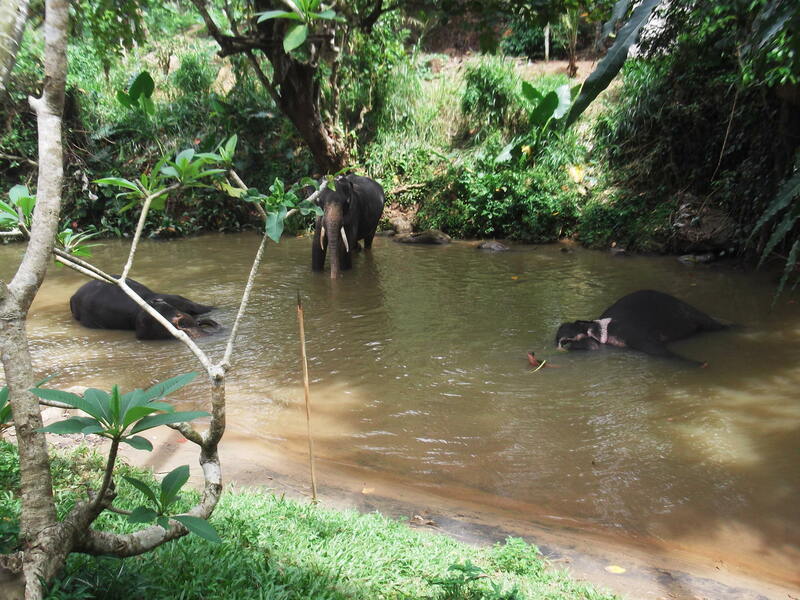 It’s more than just elephant watching in Pinnawala – you can bathe with them and admire or even worse – they walk past you nonchalantly and you don’t even notice! But what about the poor elephants? Well thankfully for the most part they are well looked after, from what I saw anyway. 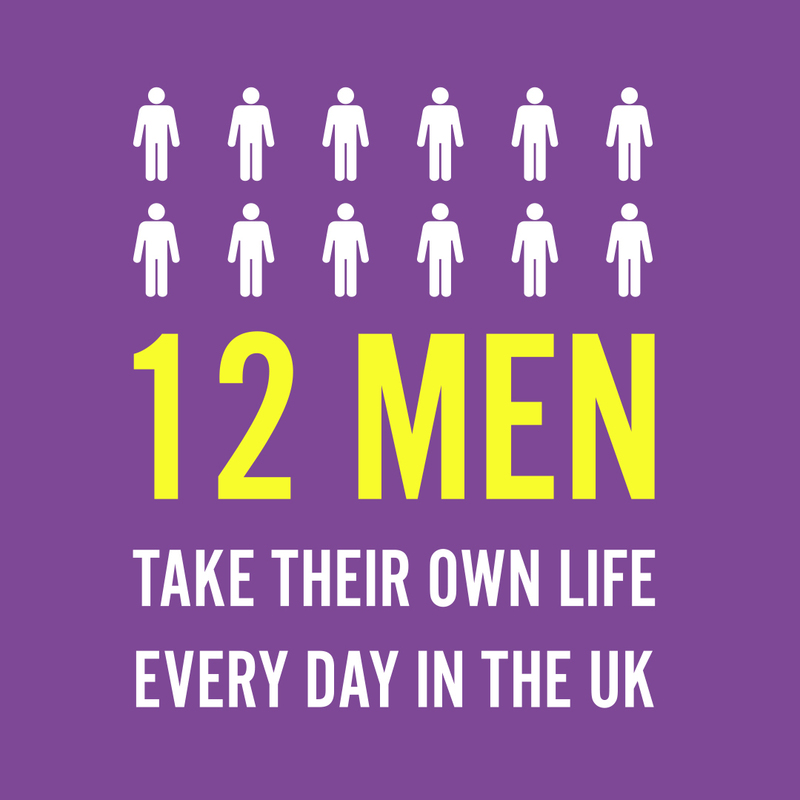 And you can support this by giving donations and buying things in the town, which we also did. The elephants are fed and watered and bathed regularly. 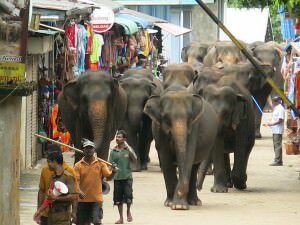 The elephants at Pinnawala are well looked after and nurtured so you don’t need to worry too much but make sure you buy a few things in the town to help out. On the main road into Pinnawala from Kandy you will see a load of places advertising for Elephant trekking, elephant riding, elephant viewing and general elephant related stuff. If you’re part of a tour group or bus, then they will have a place in mind already and you will do your elephant riding there. 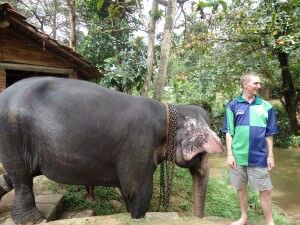 If you are with a driver, he will be more flexible and let you choose where you want to stop for your elephant riding. Take your pick – we went to. Elephant riding in Pinnawala – recommended!! 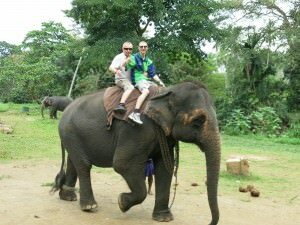 How much does elephant riding in Pinnawala cost? It’s a flat rate of 2000 Rupees. There’s no bargaining to be had and in honesty when you consider they are looking after the world’s largest mammals, then it’s worth paying it. 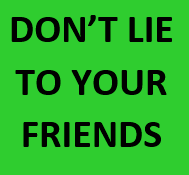 Don’t even think about bargaining on this occasion but do reject those rip off merchants trying to flog you stuff – that money will go in their pockets not to the elephant sanctuary. Support the town and the elephant sanctuaries first and foremost. 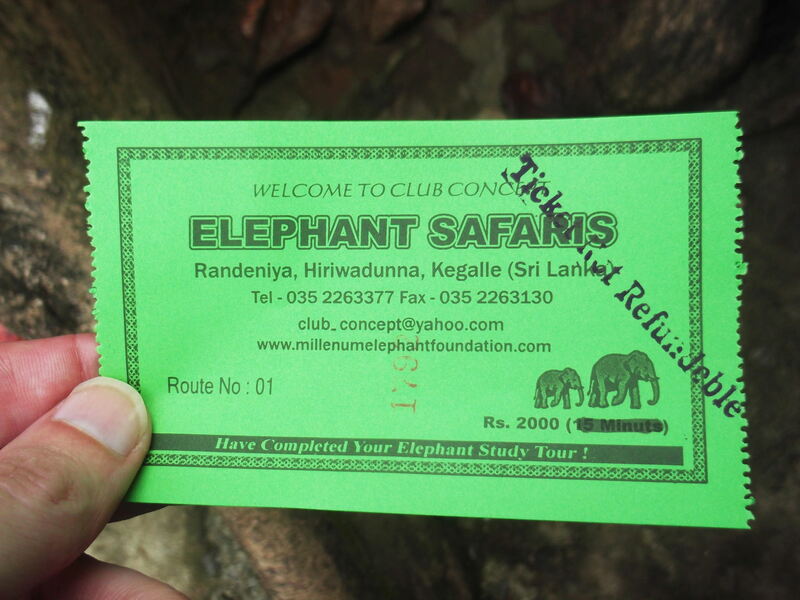 My green ticket for elephant riding in Pinnewala. 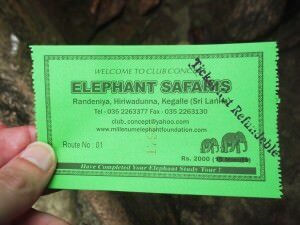 This is with Club Concept Elephant Safaris and costs 2000 Rupees. Where is the elephant riding in Pinnewala? 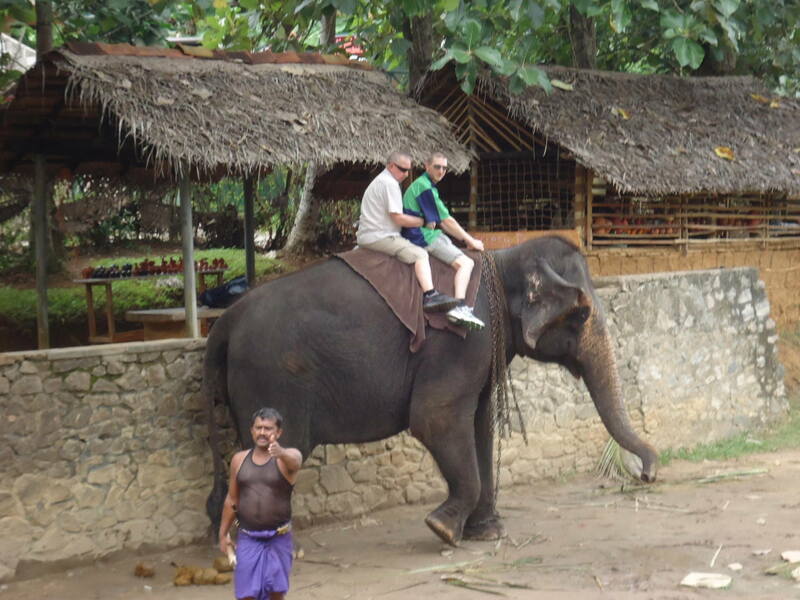 What is included in elephant riding in Pinnewala? 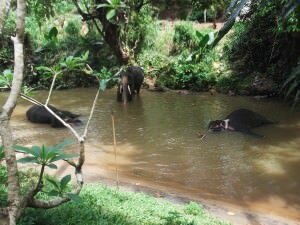 You also get to go bathing with the elephants at Pinnewala – a good experience. 3. Entrance to a small ‘museum’/room full of information on elephants. Get your information to digest here, leave a donation and marvel at the facts, but at the same time realise how the elephant is actually in danger of becoming extinct – the numbers are in the thousands and in Bhutan they are in the hundreds. 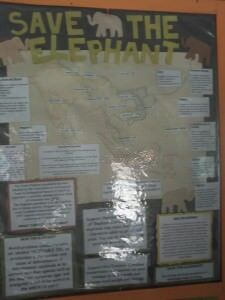 Some information on elephants at Club Concept Elephant Safaris in Pinnewala Sri Lanka. What is elephant riding in Pinnewala all about? 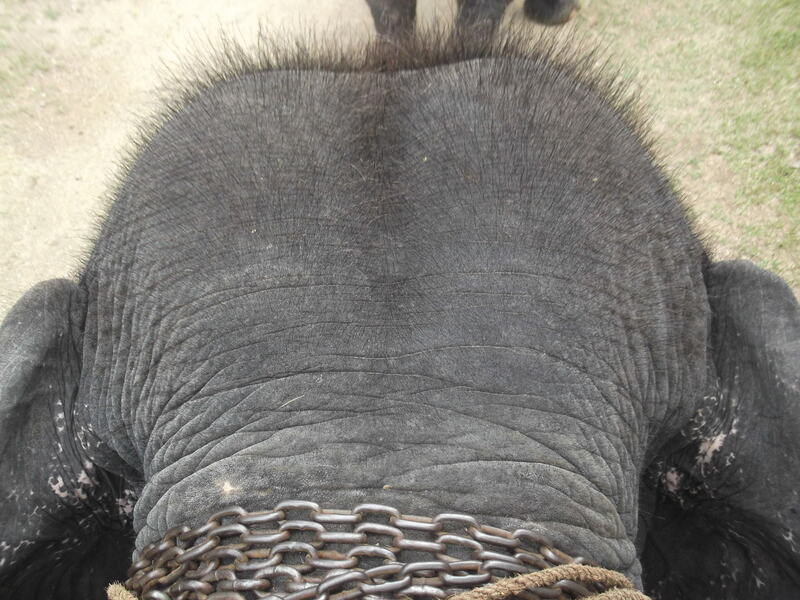 Just a bit about the elephant riding itself then – basically its a maximum of 2 people per elephant, you grip onto a chain that is round the elephant’s body. You set off and are followed by the elephant keeper – he escorts and the elephant duly follows him. You can give your camera to one of the other guys working there or your friends to take photos of you. * Stay steady and keep your balance – falling off is possible and you don’t want that! When you’re in Pinnawela you can also hunt out souvenirs, have a beer and watch a live elephant parade through the street (I’ll write about the town separately!). Pinnawela itself is a few kilometres drive from the Club Concept Elephant Safaris. Don’t forget to stay connected by subscribing to my updates and liking out my Don’t Stop Living Facebook page. 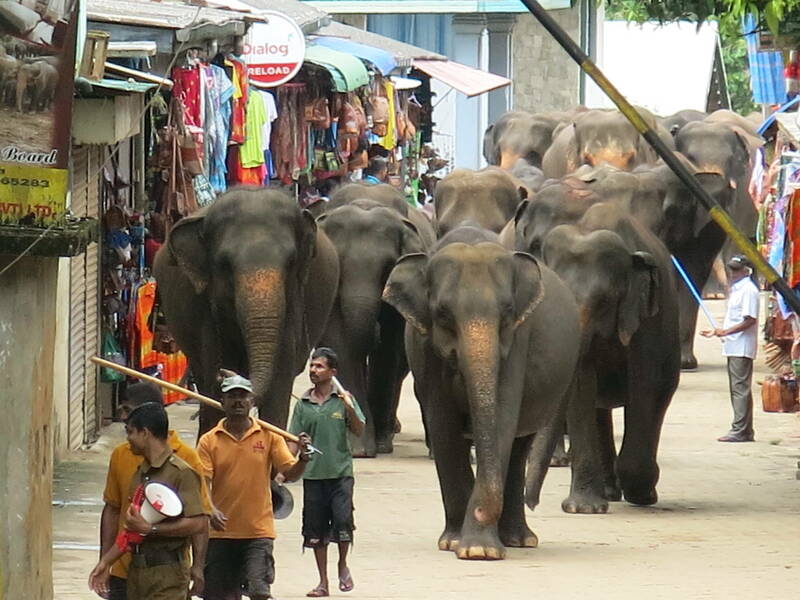 This entry was posted in Asia, Elephants, Pinnewala, Sri Lanka. Bookmark the permalink. Hey Johnny, I like your attitude towards travel in general and you look like you had a great time but I am trying to spread the word against elephant riding. The honest truth is that breaking in a wild animal like an elephant basically takes torture at a young age and it’s just not on….. No matter how well they tell you the elephants are treated it’s imply not true.